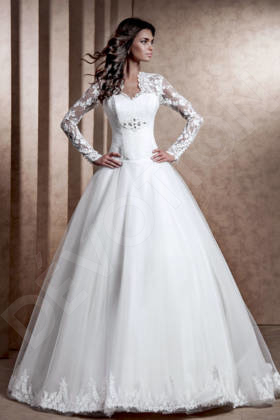 This truly stunning wedding gown will have you holding yourself like a delicate porcelain statue. 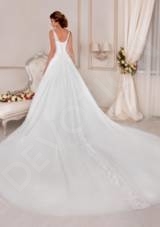 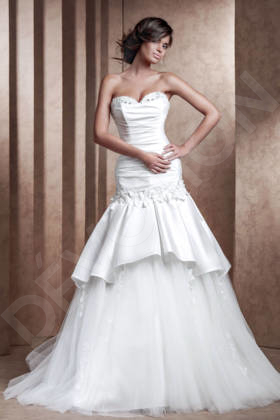 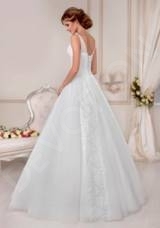 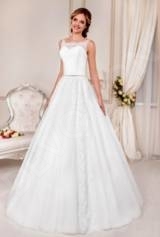 Its simple cut is subtle yet elegant, and the short corset highlights your waistline. 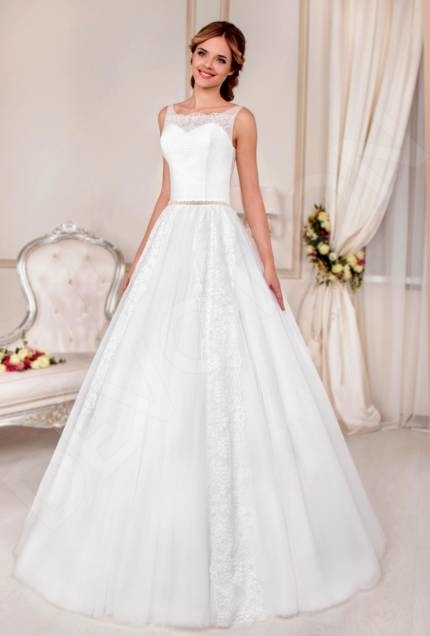 The sheer insert neckline is decorated with a lace stripe, adding a romantic touch, and the monarch train makes your look all the more majestic. 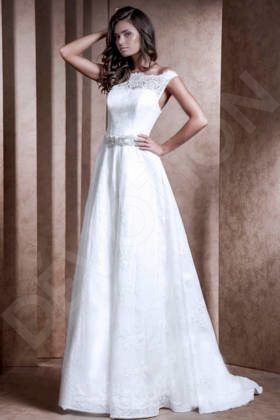 Show your perfect posture and beauty in this gorgeous gown.